Responding to declared attackers with flash? 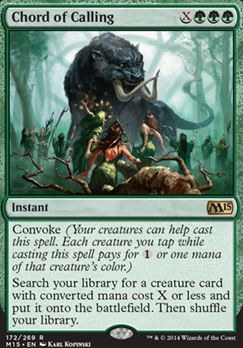 Chord of Calling & (X) cost creatures? 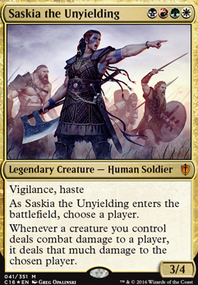 Three card combos are just difficult to make work in modern. Vizier of Remedies and Devoted Druid are kind of a corner case. First, I want to make you aware of another three card combo which doesn't work in modern which operates on almost the same level as Devoted Druid + Vizier of Remedies : Grand Architect + Pili-Pala . On the surface these two combos are pretty similar. You have a creature that generates mana but suffers from summoning sickness, and another creature that breaks the former and lets it produce infinite mana. 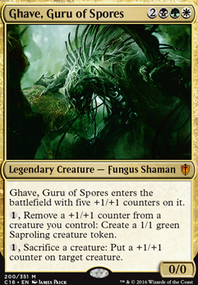 Both combos feature creatures that cost 3 or less. One combo is in blue, the other in G/W. Both require some third thing to exploit infinite mana to win. What exactly is the difference maker between these two, where one sees competitive play and the other doesn't? 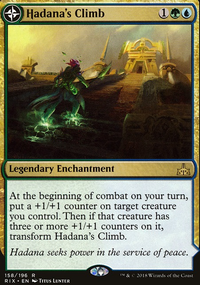 The first major difference is that Vizier combo is in green. This gives the deck access to Chord of Calling and Collected Company , both of which can help cheat out combo pieces at instant speed. Pili Pala combo only has access to Whir of Invention , and that doesn't even hit Grand Architect . The second difference is synergy. 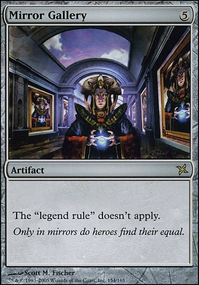 Vizier of Remedies on its own can do things such as create an immortal Kitchen Finks , which on its own is enough to seriously slow down any aggro deck, and in some cases just stops them cold. Devoted Druid is at worst a mana dork that can untap at instant speed to either produce a second mana or block. 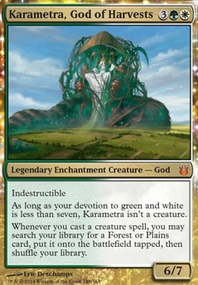 That means 2 lands + Devoted Druid on turn 3 means you're holding up a potential Collected Company , or even a Chord of Calling for 1 during blockers (2 lands make , Devoted Druid taps for a , takes a -1/-1, taps for a , then chumps). 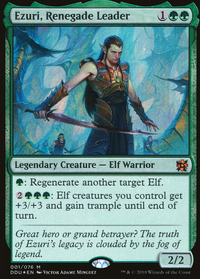 In Pili Pala combo on the other hand... Grand Architect can help maybe cheat out a Myr Superion , while Pili-Pala combines with Viridian Longbow to essentially produce an effect that ammounts to : Deal 1 damage. That's about the extent of synergy that the pili pala combo deck can obtain. The third difference is robustity. Devoted Druid + Vizier of Remedies is an infinite mana combo, true, but Kitchen Finks + Viscera Seer + Vizier of Remedies is still infinite life, and essentially lets you rig your next draw. You have fall-back combos, all of the pieces of which being fetchable by the same means that the primary combo can be fetched. Pili Pala combo has no such luxury. The point that I'm trying to demonstrate here is that to be an A + B + C deck in modern, you need tons of synergy, robustity, ways to find your combo, and you probably want to be in Green. Each combo piece still needs to be good on its own. Devoted Druid + Vizier of Remedies is a deck which has all these things. Grand Architect + Pili-Pala is a deck which does not. Which side of the fence do you think this Gitrog combo falls on? Can it go off turn 3? Can it win consistently by turn 5, even through disruption? Does it have a secondary game plan to fall back on if the primary combo fails? I'm not saying that the answer to any of these question has to be "NO" for the Gitrog deck. Indeed, you may be able to brew up some crazy and powerful new combo deck. Rather, I'm just trying to lay the foundation for the absolute necessities of an A + B + C combo deck in modern. Good luck brewing, but always remember: your combo deck is only as strong as your weakest combo component. Hope this helps.